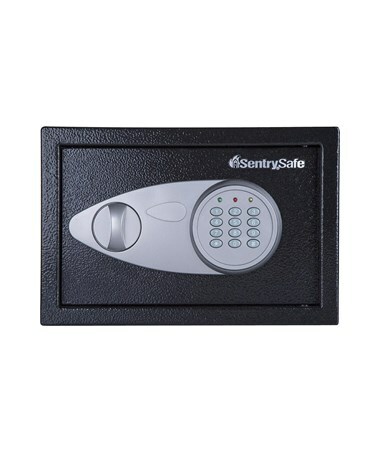 The SentrySafe Medium-Sized Security Safe is a safe fit for use at home and in hotels. 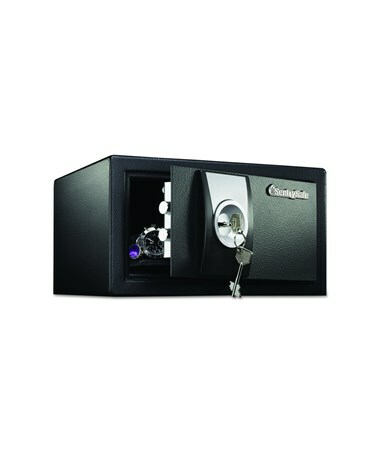 It has a capacity of 0.3, 0.4 or 0.5 cubic feet and uses a programmable digital lock or a key lock. It has 2 live-locking bolts and bolt-down hardware for protection. The digital lock also has an overriding key which can be used if the lock code is forgotten. 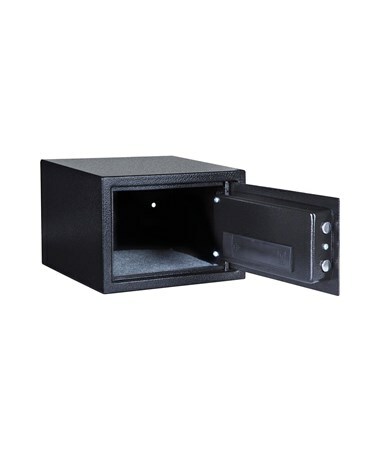 This safe has a carpeted interior which helps prevent valuables from scratching and damaging. 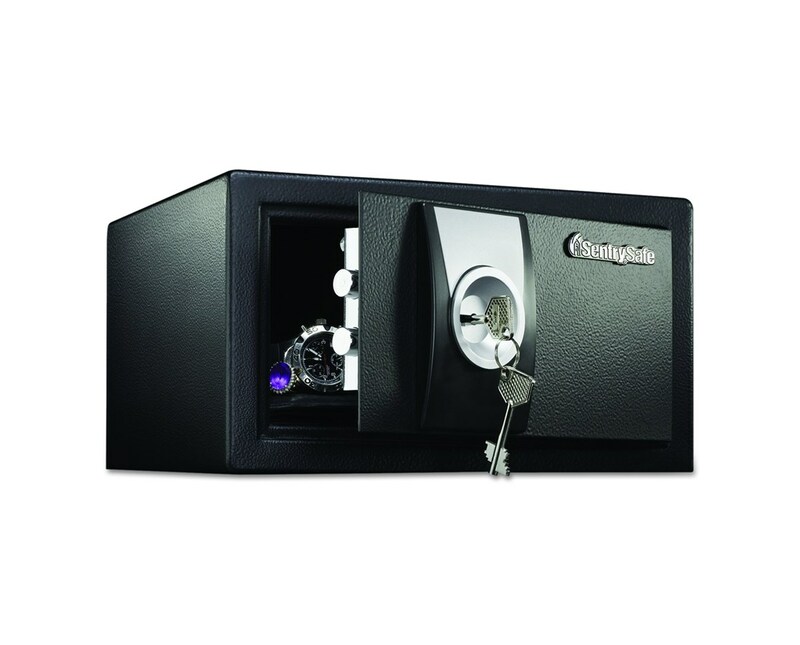 Due to its size, this safe can be placed on a sturdy shelf, on the floor or on a desk. 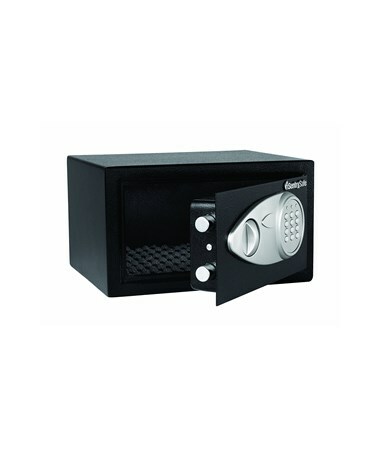 This medium sized security safe is constructed of solid steel, which makes it durable and reliable. This safe is also California DOJ certified for firearm storage. 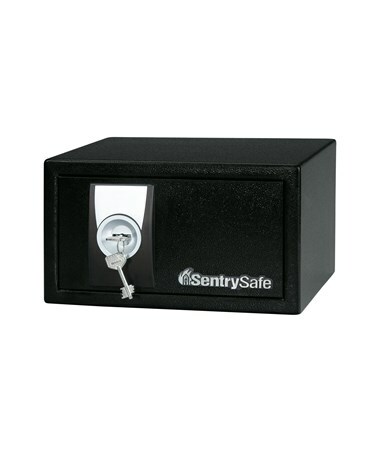 The SentrySafe Medium-Sized Security Safe With Digital Lock has options for lock type and size. Please select your preference from the drop-down list above.